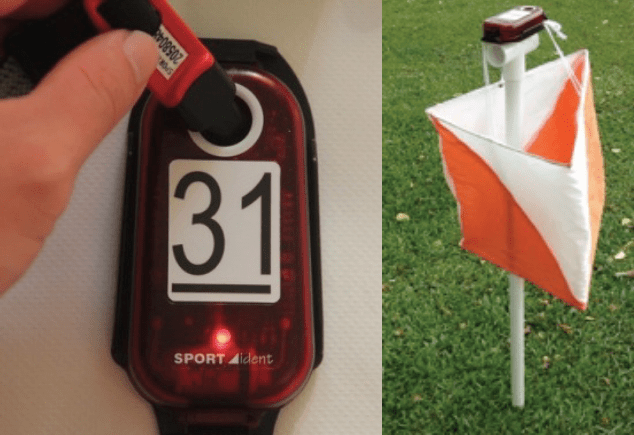 Orienteering – trail running and map reading at the same time. But the notion of orienteering wasn’t new to me. My first ultra-marathon, the Sabah Adventure Challenge (SAC) already required runners and adventure racers to navigate their way along the course with a map and compass. Thus when I heard about this race, I took it as an opportunity to practice on my orienteering skills while adding in some mileage for the week. Comparatively, the race was much shorter in distance as compared to the SAC race that I mentioned earlier. In total, the expected distance was about 8 km, as compared to the 30-40 km multi-day nature of the SAC. There were no timing gates or electronic bibs used during the event. Each runner/team was given a Sportident (SI) key, which was to be attached on the finger. This works in a sense that the start, end, and check point timing were captured as the key was punched into the SI control station. Each control station (or check points if you will) also had a designated number. Click here to check out a Youtube video on how this works. We arrived at Pulau Ubin via the bumboat rather early, so we took our time to walk over to sheltered area in front of HSBC volunteer hub. After signing in our attendance, we received our race bibs, SI key and our baggage deposit. For this orienteering race, each team started approximately 1 minute of each other. As explained earlier, the timing would be calculated via the SI key. The course was gnarlier than expected and we did take awhile to find certain check points, some of the checkpoints required teams to traverse up a hill covered by lots of trees and bushes, while some are straight dirt roads. We made some errors in navigation along the way, causing us to back track and lose precious time running back and forth. Our team came in as un-ranked, because we had went to the wrong Control Station early on in the race. But we pulled off a decent timing at 1:50:28 .If we hadn’t check in at the wrong Control Station, we would have came in 6th overall. Click here to check out the race GPS data on Strava. Here are some photos of the event which I purchased from the organizers. More event photos can be found here. Despite being a small event, the race well organized. While there were teams who would be jostling for a podium position, I think the event does foster a nice atmosphere between teams and participants. It was also nice to be able to run a race in a quieter part of Singapore. I would definitely recommend this race to road runners who would like to try something new for a change instead of the usual unidirectional road races. A full resolution map of this is available here (or in the link on the image viewer page). The (?) indicates that the timing wasn’t counted as we got the second check point wrong.